The wildest county in Ireland's "Wild West" is little known to a lot of visitors to Ireland, because it's not on the well worn, u-shaped trail that many tourists take between Shannon and Dublin. 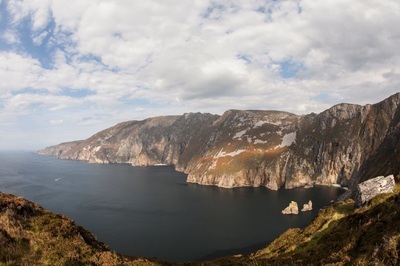 That's a reason why Donegal's blend of mountains, lakes and seacoast have remained relatively unspoiled and less "touristy," compared to many of the more famous places in the Emerald Isle. It was not until my fifth trip to Ireland that I got to see the wild beauty of the country's northwest, and I was quite unprepared for the many-faceted charms of this part of Ireland. It's a region that has been a veritable secret to all but those whose ancestors emigrated from this part of Ulster, many during the famine years, which hit Donegal particularly hard. Probably the best way to see Donegal is by renting a car. Those coming from Shannon or Dublin can reach Donegal easily these days by modern highways. 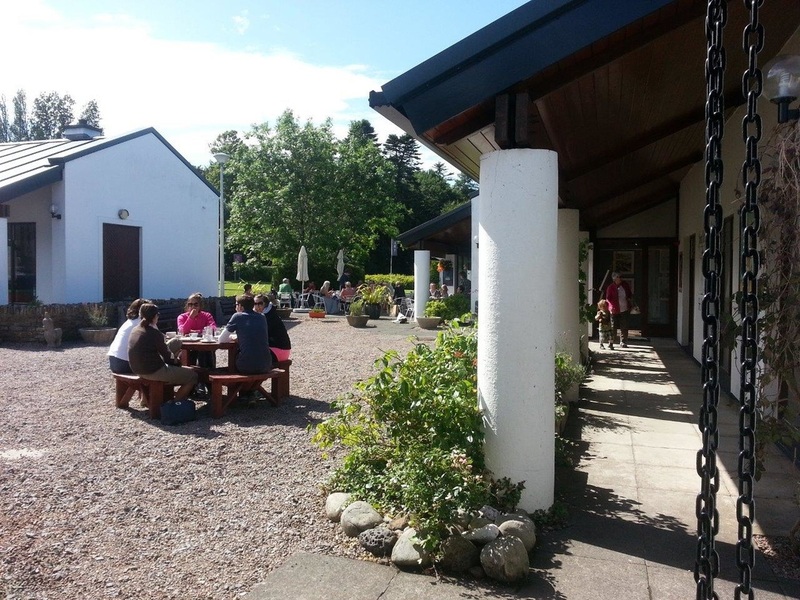 Your first point of interest will be Donegal Craft Village, outside Donegal town, where artisans create pottery, glassware, and fabrics that are synonymous with the area. In the town itself you can get a classic Donegal jacket from the Magee Tweed Factory. After leaving Donegal town, the scenery takes over. On the coast road you'll find some of the most majestic scenery in Ireland. 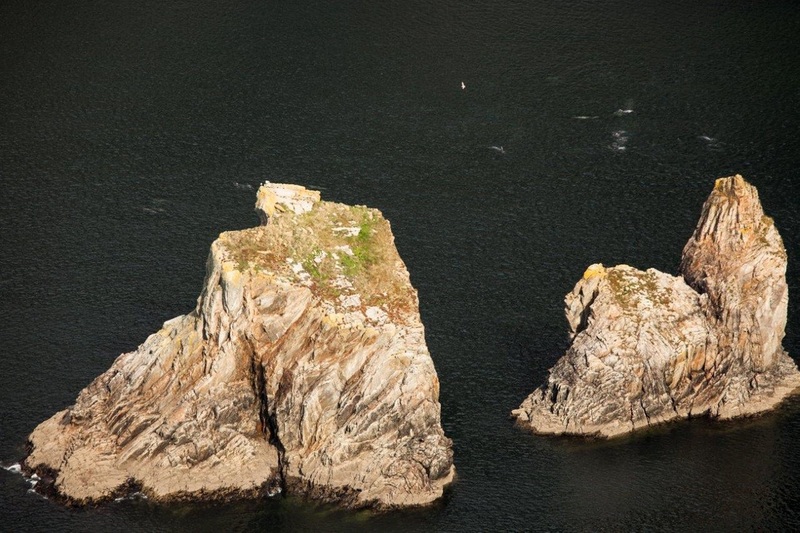 Along this route are the 2,000-feet high cliffs of Slieve League, higher than the more famous Cliffs of Moher in Clare. A pefect place to spend the night is the village of Glencolmcille, a folk centre of Ireland, and a breeding ground for traditional musicians and storytellers. In the 1980's the parish priest, Father James MacDyer, was determined to improve the standard of living of the local people. He spearheaded a drive to preserve the area's heritage while attracting tourists as well, establishing the Glencolmcille Folk Village and organizing a cooperative for Irish knitted sweaters. He even attracted artists and writers by highlighting the area's beauty as an inspiration. In those days the pastors pretty much ran Irish villages, and though the practice was maligned by many, in Father McDyer's case, his activism benefitted the residents a great deal. Continuing north along the coast the visitor will enter the "Gaeltacht" or Irish speaking region, one of the few left in Ireland, where the Irish tongue is spoken as the first language. The area is full of picturesque lakes and estuaries, and being one of the most ancient regions of an ancient land, is the reputed home of a large colony of leprecauns. Indeed the village of Gweedore in this area is deemed the best place in Ireland to see, or at least listen to tales of, the little people. Not far from Gweedore is Glenveagh National Park, home of the largest red deer herd in island. The 170 square km park is the second largest in Ireland and includes Glenveagh Castle, a restored fortress on scenic Lough Veagh. The castle and grounds were a gift to the people of Ireland by Irish American owner Henry Mclhenny, a Philadelphia art collector. 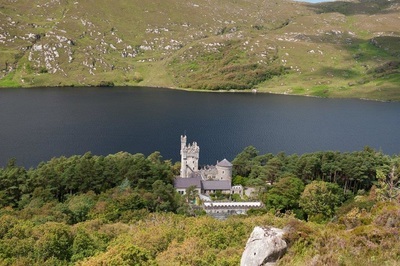 Near Glenveagh is the Glebe House and Gallery, one of Ireland's leading art museums, with more than 300 works by Irish and European artists, including a number by Jack Butler Yeats, brother of William Butler Yeats, Derek Hill and even Picasso. 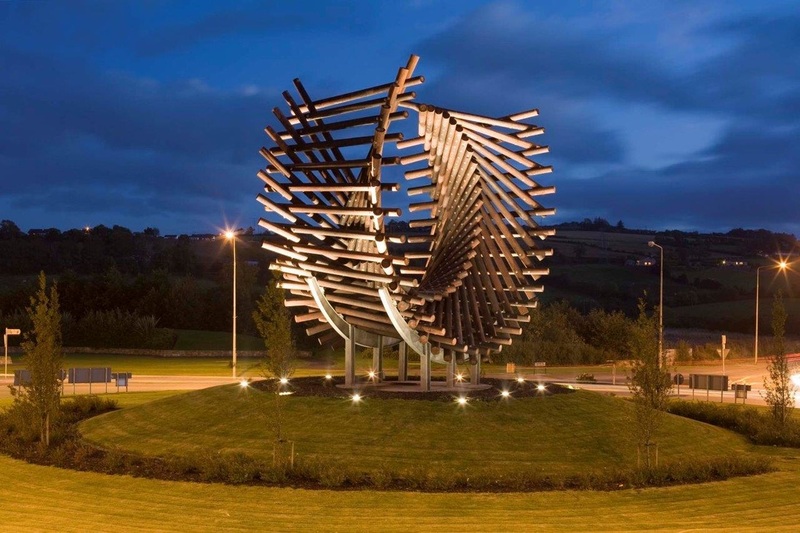 North of Glebe house is the town of Letterkenny, chief town of Donegal and a busy shopping area. Just outside of Letterkenny, however, the wild scenery continues on the Inishowen Peninsula. Buncrana, at the head of the peninsula, boasts some interesting antiquities, such as a stone fort atop Grainan Mountain. It's a fitting place to end your visit to a mystical part of Ireland. The Irish certainly can keep a secret, 'cause they've kept Donegal in hiding all of these years. But the secret is out, and Donegal is a must trip for anyone gearing up to see Ireland's "Wild Atlantic Way.